Written by Irene Anton on December 12, 2018 . Posted in General News. 6th of December 2018 the first edition of the book entitled “Nanomaterials for Magnetic and Optical Hyperthermia Applications” was published by Elsevier. 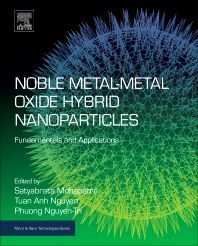 This book focuses on the design, fabrication and characterization of nanomaterials for in vitro and in applications. Anna Laromaine, researcher at the N&N group, and Laura González-Moragas, graduated PhD student at the N&N group, are coauthors of the chapter nine included in this book: Invertebrate Models for Hyperthermia: What We Learned From Caenorhabditis elegans and Hydra vulgaris. Congratulations girls for your nice work!